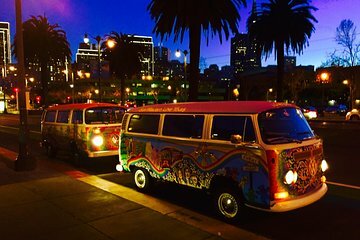 Scopri il passato hippy e l'atmosfera hipster che oggi compongono San Francisco a bordo di un colorato autobus Volkswagen degli anni '70. Goditi la città illuminata durante questo tour notturno di 2 ore che ti porterà a Fisherman's Wharf, a Chinatown, a North Beach, a Castro, alla Missione, al centro e altro ancora. Scopri le case di The Grateful Dead, Janis Joplin e Jimi Hendrix, ascoltando i classici degli anni '60. Quindi scava le tue scarpe in un tappeto shagg groovy e scuoti alcune tende di perline. Ogni autobus può ospitare fino a solo sei persone. Kind of a bummer. This was the tour I was looking forward to the most and it was the most disappointing. The description stated photo ops at the golden gate bridge, but we went nowhere near there. There was really no point in having the hippie bus because it just felt like an ordinary tour. The description is VERY misleading. This was a great tour with a really friendly and informative guide. Good to see all of San Francisco and work out which parts we definitely wanted to return to. Driving through San Francisco in a VW camper is an experience not to be missed. This tour was not what we expected. The tour guide was wonderful and informative but we thought it was a tour about the art and music history of San Fransisco. We also thought we were going to some of the hippie areas. It definitely was pretty at night vs the day. This was such a fun and informative tour! Do something like the Love Tour to make your trip special. Jason, our guide, was so kind and fun and he gave us great stories about the places we saw.  The Polaroid pic he took of us is wonderful snd will go on my fridge as a fun momento! We went on a few excursions and this one was our least favorite. We could have easily done without it. While it gave us a quick overview of some of the highlights of San Fran, there was nothing special about it. The vehicle was uncomfortable and the ride was not at all smooth. The driver did his best to play appropriate music and talk about the places we were seeing but, it just wasn't anything special. A bit disappointing to be fair. Great to see the Golden Gate at night, the city lights and travel down Lombard St and the guide was fun. But the trip stated approx 2 hours but was all over in 1hr 30 mins. Then we were dropped off at our pick-up point but the itinerary had said hotel drop off included since our trip they've taken that out but I had the paperwork to show our guide that it was definitely included when we booked so then had the unexpected expense of a taxi ride back to the hotel as no way was the guide going to honour our booking and take us to our hotel....even though we ended up via taxi back at the hotel before the tour was even due to end! Disappointing end. I was really looking forward to this trip and was a bit disappointed that the evening bus doesn't go to Haight Ash....its a hippie bus hello? Our driver Jason was super sweet and took us to some very nice out of the way spots for photos and a grand finale of Lombard Street!